I did it guys. I spoke to 200 kids at The Stoke Newington Literary Festival!!! My first lit fest. I was so nervous. I honestly felt like I couldn't do it and then Kate was talking about a mic and a stage and I was like what??!! But it was in their assembly hall and then I realised they're kids! I am with kids every single day. This is nothing and do you know what? I had so much fun that I wished I could have done it again. The kids were so imaginative and engaged and even knew about Dragon Ball Z (can you believe it?) and it was so cool seeing them buy copies of my book. I tried to go a group selfie, which was an epic fail because the camera didn't take the pic and all the kids just rushed forward, so in the end I did a video shot but then we found out the parents hadn't signed permission for it to be posted! Kate kept complementing me on my crowd control. All them dance classes have paid off. I also met this lovely author called Gareth P. Jones and I was telling him about my dance story. He was really into it and thought it sounded good so fingers crossed publishers do as well. This was the first year I actually went to The Stoke Newington Lit Fest and I so wish I had more time that I could have gone to more. Went to an author panel talk which was actually hilarious and was really refreshing to hear that we all just stress about the same author problems. Gutted I missed the Harry Potter 20th anniversary party and the Game of Thrones quiz. Had my mother of dragons tee ready! 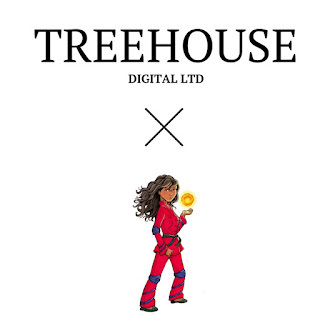 Back in March, I got an email from a lady asking me to meet with a film/TV company called Treehouse Digital. I figured why not? They may be good for The Author School book to film class. I meet the guys who were lovely and was really surprised that they knew so much about my book. We ended up having a really good convo and they were teaching me how to pitch to film companies etc. So maybe about a month later, I was thinking of them and the pitching notes, so I emailed and said could I pitch Emily? And they said yes. It took me two weeks to get my pitch together....and they loved it. They now have the exclusive rights to the book to get it commissioned for film or TV!!!!! Excited isn't even the word! Big Brother is hilarious! That guy Arthur. I don't know if he is just pretending to be weird and awkward or he's just weird and awkward but he makes great TV. Gutted that he left. I miss 13 Reasons Why. I know I was like blah in my last post but it got sooooo good. And that last episode actually had me in tears. The Queen was home but I don't think she cared to see us lool because she didn't come but we met Prince Philip and that guy is a G. He was on his feet for ages in the boiling sun. The cake there was AMAZING! Debbie Moore, the founder of Pineapple Dance Studios, came as well and she was so excited because it was her birthday. “Everyone is asking me what I'm doing today and I'm like darling I'm at the palace, I can't talk to you.” She even jumped in to help Prince Philip cut the cake. Legend. 'It's not called Keeping Up With The Jenners' I had to rewind this so many times. Then video it and send it to Aleta. That whole cussing scene was amazing. I love ratchet Kim. My friend sent me an article and you know how they have ads in the article? One of the ads my book on Amazon! I screamed and dropped the phone. Scandal season finale!! Why is it always Cyrus?????????? I heard there is one more season. I wish Shonda Rhimes could end Greys Anatomy so she can focus her life on Scandal. I have 7 weeks of dance teaching to do. No more bank holidays or half terms and all of them have a summer show. My life. We had a plumber come today to fix a new toilet and we had no idea she had a phobia of cats! Of course Fergie comes along and stares at her. The lady freaks out, screams and cries and Fergie gets banished to my bedroom. Do you know how hard it is trying to work with Fergie locked in my room? He was determined to go to her.